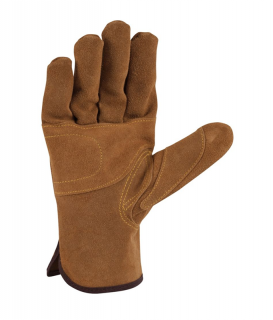 You're ready for a long day of rugged work when you pick up this leather fencer glove. Built of suede cowhide for strength, it's reinforced with a wrap-around palm and thumb patch for added durability where you need it most. The double-elastic cuff helps ensure a secure fit.